Getting Things Done for Everyday Oregonians. 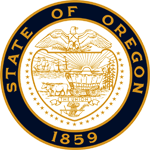 Welcome to the Legislative Website of the Oregon Senate Democrats! Senate Democrats put forward a bold, but actionable, plan to protect families and small businesses across Oregon during the 2019 Legislative Session. We are working hard for hard-working Oregonians. In the 2019 Session, we are fighting to give working families and everyday Oregonians greater opportunities to grow and thrive. We will fight for legislation that addresses the housing crisis sweeping our state. We also are working to provide educational opportunities necessary for a 21st-Century workforce, particularly through the work begun by the Joint Committee on Student Success. That team traveled the state last summer, seeking well-rounded perspectives to improve our education system. They are expected to deliver some ground-breaking insights to help drive our schools to success this session. Senate Democrats also are focusing on the world we leave to those same children, as well as their children and grandchildren. We will champion Clean Energy Jobs legislation to create the 21st-Century clean energy jobs that will drive the future of our economy, in addition to protecting our climate by curbing carbon emissions statewide. Senate Democrats are focusing on government accountability and transparency, exploring opportunities for greater efficiency, transparency and ease of navigating state government. If you wish to learn about our caucus leadership, individual Senate Democrats or read about some of our past accomplishments, click the links to the left. Connect with your elected officials by "liking" us on Facebook and following us on Twitter.